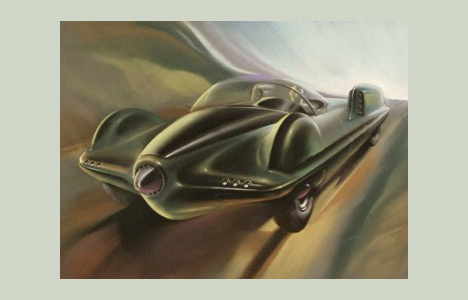 Though times and vehicular technologies change, at least one thing remains the same: concept cars drive vehicle design, both on and off the drawing board. What seems visionary and perhaps impossible today may well become a standard feature tomorrow, and perhaps even inspire generations of designers to come. Lincoln has tasked WebUrbanist with a bit of creative time travel – first backward, then forward. 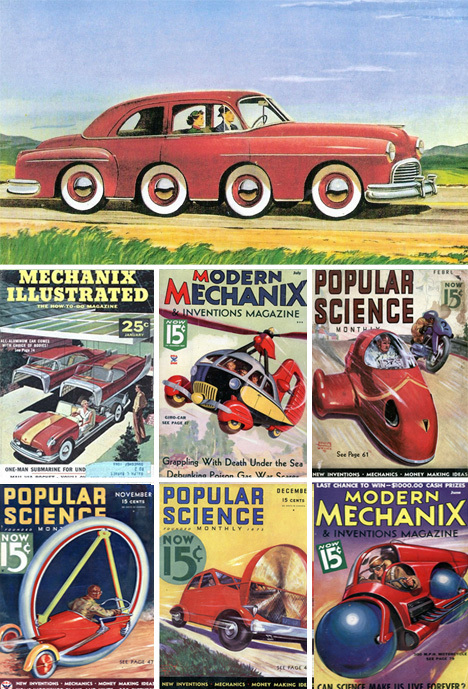 Our journey begins with this series of five future-shaping concept vehicles of the 20th Century. The Ford Seattle-Ite is something of an historical wonder – a World’s Fair show item in the 1960s, it portended interchangeable fuel cells and bodies, safety glass as well as interactive computer and mapping systems fascinatingly (strikingly similar to the GPS units found in more and more models every day). Of course, not every innovation comes true – the proposed compact nuclear fuel source has yet to materialize, but who knows: it might yet. 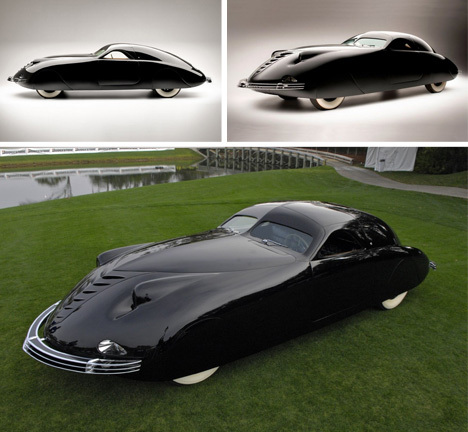 As early as the 1930s, though, designer ideas pushed beyond their time in models such as the Phantom Corsair. This prototype never entered production, but its flush fenders and minimalist lack of running boards inspired future sleek and modern designs. Even now, it looks streamlined and deceptively light despite weighing in at nearly 5000 pounds. 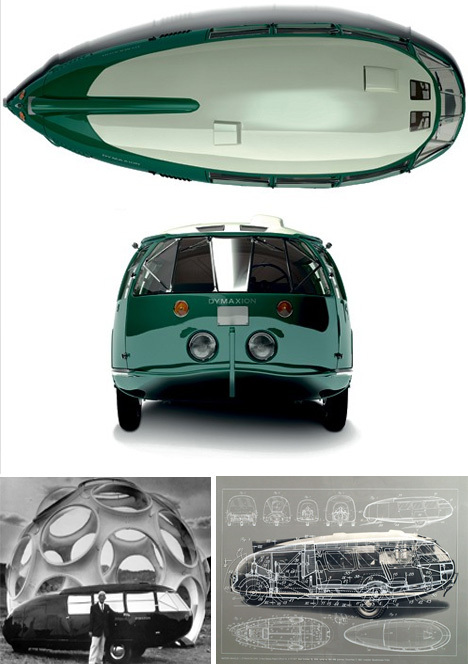 Another failed but famous flop from the same decade was designed by notable architect and inventor Buckminster Fuller – his Dymaxion car strove for fuel efficiency and maximum passenger room, carrying up to a dozen people at a time. While aerodynamic due to its shape, it was scrapped after a serious accident during a demonstration that showed it could roll too easily due under the right (or more accurately: wrong) conditions. All the same, its emphasis on efficient engineering from power usage to body configuration still inspire modern designers to this day. 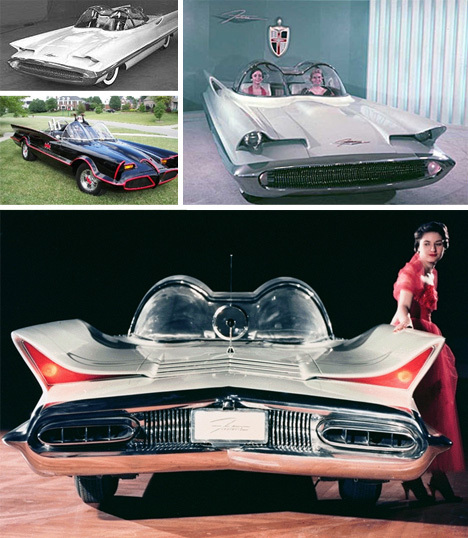 And then there is the iconic Lincoln Futura, which made the rounds (and headlines) at auto shows in the mid-1950s. Unlike many concept cars of its time, the Futura was fully functional – at the same time, it was all about design. 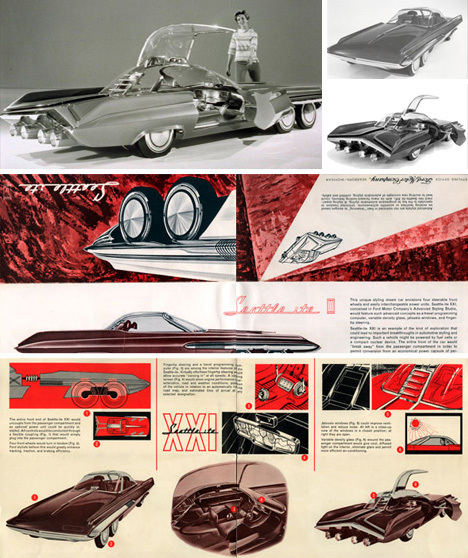 From its bubble-top canopy to its sweeping tail fins, it stretched aesthetics in all directions. It went on to become a cultural phenomena, starring in the classic television series Batman and featuring prominently in major movies as well. Its eccentric curves may have been too much to handle as an open-road, mass-production model, but it managed to make a long-term mark nonetheless. Success comes in strange ways in the realm of design, as each of these examples illustrates in a different way. In some cases, a trend is anticipated or even started by an unsuspecting source. In other cases, an extreme idea ultimately becomes everyday reality. One thing, though, is for certain: coloring within the lines is no way to jockey for position in the never-ending race to create the next great vehicle – pushing limits, testing and experimenting are, paradoxically, perhaps the only way to to stay on track. Our second article in this two-part series skips straight through the present and pushes into the future, featuring design concepts and prototype cars suited for everything from land to sea and air.